Booster Juice Booster Juice: Free Birthday Smoothie! Booster Juice: Free Birthday Smoothie! You can receive a birthday gift from them when you sign up for Booster Nation. Upon doing so, you'll receive a free smoothie certificate in your email on your birthday! You'll need to sign up at least 24 hours before your birthday to receive your coupon. Sign up for Booster Nation here. 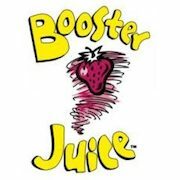 Visit BoosterJuice.com for information on their smoothies! Do you get a free one or is it a bogo coupon? *A free smoothie coupon is not sent to new Booster Nation newsletter subscribers on your birthday. The Birthday Smoothie Program closed as of Dec 31, 2018. If you were subscribed to our newsletter prior to this date, you will recieve a free smoothie coupon on your birthday in 2019. As of Jan 1, 2020 no Booster Nation subscribers will be eligible for a free smoothie coupon for remaining subscribed.